SUSAN ELIA MACNEAL: Julia's post on running away from home reminded me of how often I look at travel web sites and travel magazines — not making any particular plans, just daydreaming about wonderful journeys. Since my real-life travel tends to be focused on World War II-related history and sites, in my daydream travels there are often no museums or monuments, just warm, white sand and turquoise blue waters. Thanks to Lucy, I'm obsessed with Key West (all those Hemingway cats! 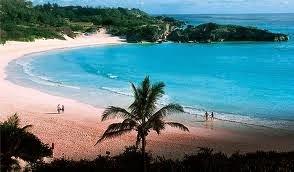 ), the British Virgin Islands, and also the pink-sand beaches of Bermuda. Reds, in your daydreams (time away and cost no object) where do you armchair travel? HALLIE EPHRON: My pipe dream travel: Hogwarts! Most definitely. And I am eager to get to Diagon Alley at the Universal park. I know, nutty. But there you are. My daydream travel is Luquillo Beach in Puerto Rico. THE most beautiful beach I've ever been to. Silky warm water. Quiet mid-week sunny day. I "go" there when I'm stressed. Which this winter means a lot. RHYS BOWEN: Hallie, I've been on the Harry Potter tour at Warner Brother's Studio in London and Diagon Alley there was fantastic. My one big unfulfilled travel dream is a safari in Africa. But I also loved snorkeling on the Great Barrier Reef and cruising among the Whitsunday Islands in Australia. 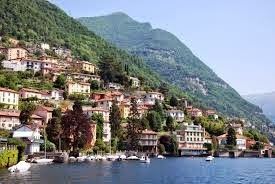 When I'm trying to relax and picture my perfect calming spot it's always Lake Como, looking at the snow-capped mountains and beautiful gardens. When I stayed there it took my breath away. DEBORAH CROMBIE: Ooh, Hallie and Rhys, I want to go to Hogwarts, too! Warner Brothers in London might actually be doable for me. Probably not this trip, as I imagine you have to book way ahead, but it's going on my list. 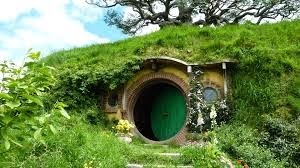 More on the pipe dream side is Hobbiton in New Zealand. I have this thing about Bag End. If I'm totally stressed I imagine myself sitting outside Bilbo's front door and looking down the hill. And lately I've been looking at Viking Cruise ads longingly. I have several friends who have done Viking cruises, including Marcia and Barry Talley for their 50th. Apparently they are as wonderful as they sound. But I would have to rope in my daughter or a girlfriend because I don't think I'd ever talk Rick into it. His dream vacation is to stay in a friend's cabin in Creed, Colorado, where the elevation is 10,000 feet. Not. For being together with family and friends - well, that river barge cruise we've all talked about has a lot of appeal. Or one of those small sailing cruises, with just a small number of guests and an expert crew under sail in the Aegean. Or the Caribbean. As long as the water's blue, I'm happy. HANK PHILLIPPI RYAN: When you said Hogwarts, I thought you meant the real Hogwarts. Like go to the station, and get on platform--what is it? 9 and 3/4? I'm all for that. We also get so many pamphlets about those river cruises. I can't decide whether they'd be fabulously gorgeous and relaxing---or you'd feel TRAPPED for days on the stupid boat. I'd adore to go to Lake Como--my father says its the prettiest place he's ever been. We have gone to Nevis several times-it's endless white beaches and no one is there. It is beyond fabulous, we sit on the beach and watch the pelicans, and we were actually (me on vacation!) thinking of going this year. But now it's ravaged by some Caribbean mosquito-borne horrible disease. Chikengunya. So we're staying home. We can't get out our back door, anyway. They snow is too high. Lovely readers, where do you travel in your imaginations? Since I've traveled around the United States quite a bit, but not anywhere else, I've often thought I would like to go to Rome and to the Holy Land. Since I can get seasick just looking at a boat, I've never been lured by the prospect of a cruise. But I could most definitely make an exception for a Jungle Reds Cruise . . . .
You have to admit, it wold be fun to all just--have an high and hilarious Jungle Red outing! And yes, yesterday, gulp, we saw the SUN! Amazing. And at our house, you can see the pavement of the driveway, It's been weeks since that happened. Very very bleak around here..and very difficult. So yeah, hurray. I'm looking forward to the voyage to spring! (even though I don;t want to wish the time away. And I thought Lady Gaga was great. And I'm all for glamorous dresses but the v-neck to the waist is simply--unflattering. And now back to our regular vacation programming xo. Sign me up for a Jungle Reds cruise! Preferably through wine country. 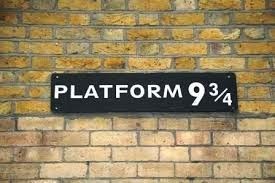 And I DID mean the real Hogwarts. Right now I want to be somewhere warm. YES, Hank, we found our driveway, too. Though the icicles are still formidable and snow is still about 4 feet deep. And it's going down to -5 tonight. Thelma, sure hope you get that million dollar advance--we would all cheer and shout! Right now, I'm dreaming of anywhere WARM. After getting up into the 30s over the weekend, we're back in the teens and negative overnight temps here in Pittsburgh. Blah. Hallie, I've been to Luquillo Beach and you're right - so beautiful. I'd go back to Puerto Rico in a heartbeat. Wouldn't mind seeing Tuscany, either. And count me in for the river cruise. I've also been to Harry Potter in Orlando. Best part of that vacation was visiting Diagon Alley (and yes, I'd love to visit the real Hogwarts, too). Ooo, if we're including travel to imaginary lands, count me in for outer space! See Barsoom in the spring! Visit Arrakis in the rainy season*! All-inclusive** tours aboard the Millennium Falcon! *There is no rainy season. Universal's Diagon Alley is well worth the dream. It's like leaving real life and entering those Harry Potter books. Hard to come back. I have a good friend who is off with her husband on a Viking Cruise next month. I can't wait to hear about it. We get the brochures (it seems every week) and I look at them longingly. They are certainly not inexpensive (not that any cruise is, but those are *special*). I'd love a Jungle Reds cruise! Normandy to Paris maybe? Hey, we can dream.... If we're talking imaginary lands, then Hobbiton definitely.I love the idea of second breakfast. Chikengunya is here Hank in the USA - just not common. I've had dengue (symptoms very much like Chikengunya). It's worth the trip, really. Nevis, St. Barths, or Saba would be my dream vacation at the moment. It varies by season. Right now, I'm hankering a dive trip and the water in Florida is much too cold for this warm weather wimp! Love the idea of a river cruise. The one time I was on a boat in the ocean I was seasick the entire time, so I appreciate the consideration, Roberta! Some friends are going this summer, and I'd love to do the same. But my husband would also never want to be tied to a boat for that long. Yes! What is about the sternum that designers and celebrities want to show it off lately with all those plunging necklines? It's just not attractive. I would love to do the Viking cruise from Amsterdam to Vienna. It's two weeks and you disembark every day at a different place for tours, sightseeing, etc. Sleeping and meals are on the boat, but you are not confined there for days at a time because you cruise overnight and do day trips each day. How about it, Reds? Ooooh, how about Anne of Green Gables' Prince Edward Island? Yes, that's my feat with a cruise — the other people... And you're stuck on a ship with them! Of course, if we all went en masse on a Jungle Reds cruise, problem solved! Lake Como and the Cinque Terra (sp?) - never been + want to join the Jungle Reds Cruise on the Mediterranean ! A river cruise, with lots more passengers onboard, seems to me easier to manage than a smaller craft with just a handful of travelers. I tend to want places that WERE, so I'd need to travel in time as well as in space-- London in 1969, Italy in 1963, China in 2001 when it was just starting to turn modern, Kaanapali (Maui) before it was built up at all (just me, and a stray dog chasing a stick I was throwing, on the completely undeveloped beach, with a rainbow in the mountains behind us), Negril (Jamaica) before there was anything on that long, white sand beach except for a couple of tropical huts that sold barbecue and drinks. Small towns along the road west that have disappeared. But nowadays, I hate to leave my many projects behind. I dream of time, and a lack of obligations to fill it. There's no place like home, there's no place like home. I want days to wander down the backroads--preferably dirt roads--that lead to unexpected places--a tropical beach, a welcoming village, a vista that invites you to keep going.... at this point in winter I don't much care where. 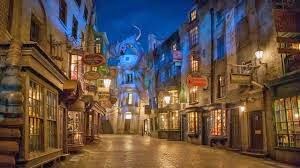 Imaginary places, now--yes to Hogwarts and Diagon Alley, yes to Hobbiton, a listen-in on Debs guitarist Andy...lots of places to go! I'd love to see Philip Pullman's Oxford. We went to the Maritimes many years ago-it was gorgeous. Like being in a black and white movie. The "idea" of second breakfast? That's not..real? At our house, it is. And second lunch, too. Every time I read one of Debs' books, I want to go on a tour of London with her, so sure, sign me up for the JRW cruise! Yep, Susan-- cruises are a kind of prison. I say JRWs take over a spa instead! Sorry I'm coming to the blog so late today. I can't imagine anything being better than a Jungle Reds cruise. What amazing fun that would be! My dream trip includes Scotland and England, with staying a few weeks or so in Stoke Canon, where my ancestors are from, and going out from there to places in Southwestern England, such as Cornwall and Dartmoor. In Scotland, I see another several weeks staying at several locations, including the Highlands and Edinburgh. And, yes, I do imagine myself there quite often, which is made easier by reading so many books set in England and Scotland.